Save your aunt's struggling ski resort from foreclosure by turning a few rickety cabins into a booming getaway complete with ritzy hotels, classy shops, five-star restaurants, and other buildings. 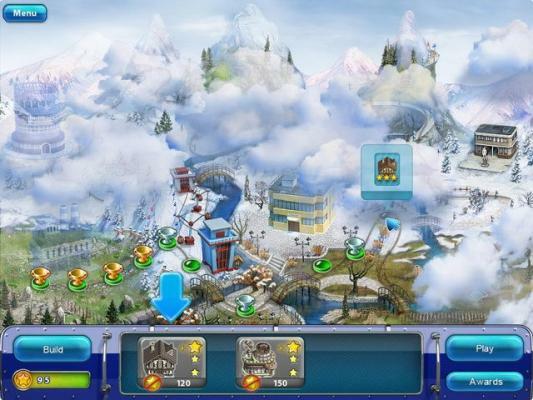 Along the way, keep an eye on your bottom line as you purchase supplies, hire and train workers, and acquire land in Ski Resort Mogul! 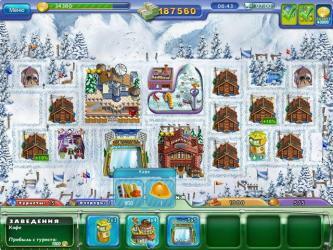 Use your Time Management talents to make money, and upgrade the resort and save the day! Save your aunt's ski resort!